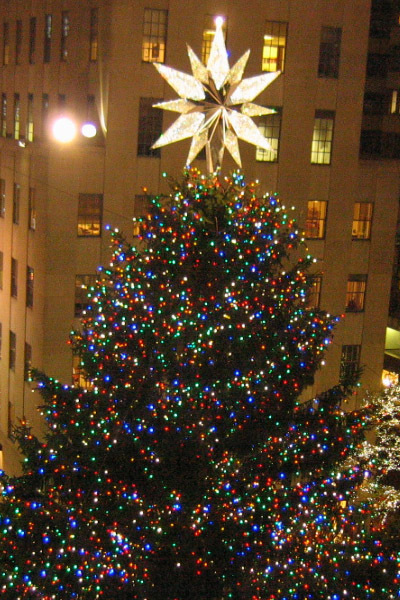 The 2007 Rockefeller Center tree was so tall, the star was at the same level as our windows on the 7th floor of 30 Rock. 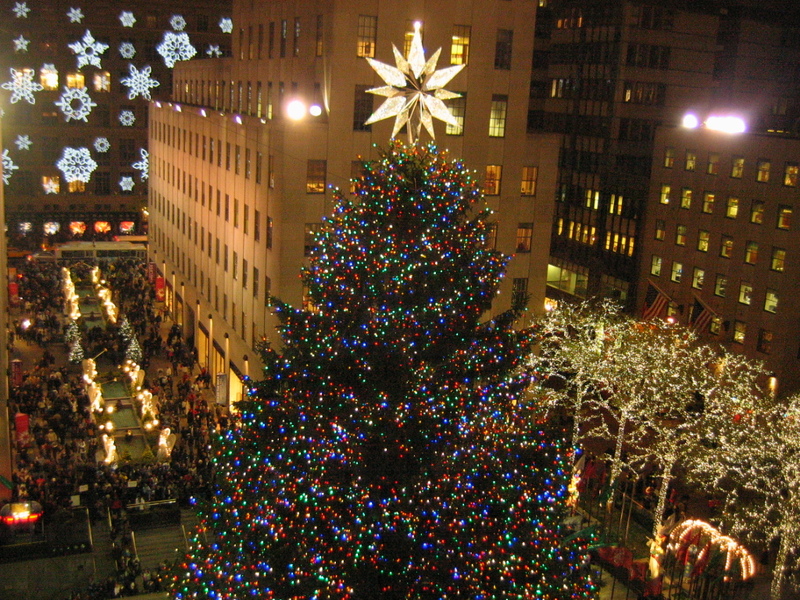 This picture was taken by Jeff Baker, a colleague of mine at WNBC. Click on the picture to get a full resolution copy. This is a close-up of the Swarovski star that has topped the tree for last several years. 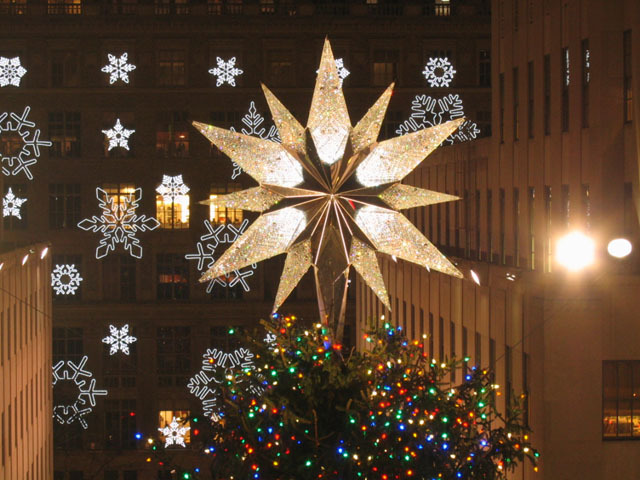 The snowflakes seen here are mounted on the facacde of Saks Fifth Avenue. Jeff Baker also took this picture.